Built in obsolescence is a problem – making cheap and shoddy goods that don't last for long, with the aim that you'll simply buy another one when it's broken. Getting something cheap always seems like a bargain – at first glance. But it's no good if it falls apart quickly. It's worse for us as the user and for the planet, when more resources have been used. OK: a better quality product might use more materials, but hopefully it will last longer. Are some brands losing the good name because they've sacrificed quality to get cheapness? As well as having better quality, it is important that goods are designed to be repaired. This might simply mean having a replaceable battery for your mobile phone or making it easier to replace a smashed screen. The drive to have smaller devices and automated systems might mean less serviecable parts. Is it really necessary to have your toaster connected to the Internet? I've been repairing our washing machine again in the last couple of days. I've blogged about the 20 year old machine before. The time came yesterday to do some more repairs, with the mains unplugged! 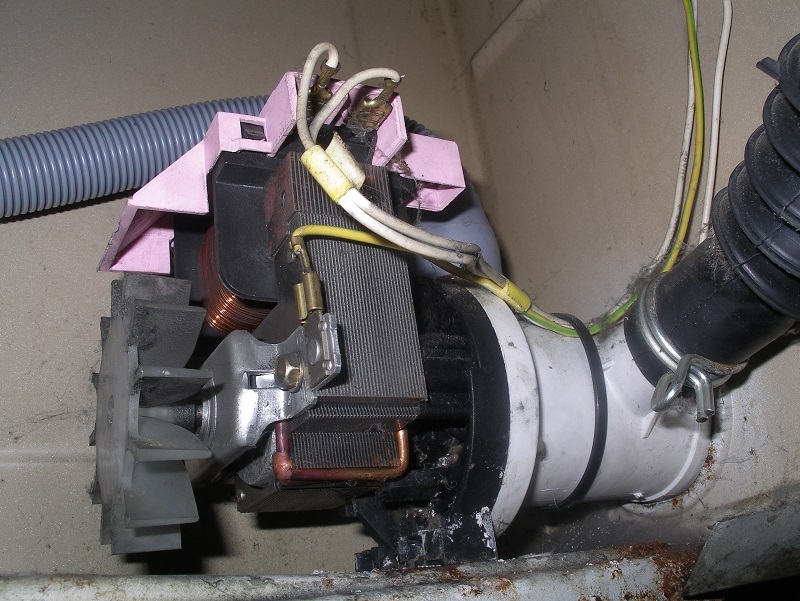 The main motor seemed to have stopped working - it was easily fixing by spinning the motor and tapping some connections – perhaps the motor brushes had come to rest at a dead spot on the commutator. Anyway, I pressed on to have a look at the leaking drain pump. I did look at replacing it, but the only one I could find on the net cost £100 and it wasn't certain that it was the correct one. So: out it came... this was easier than expected, once we'd tipped the washing machine up: a hose in, a hose out, three power connectors and two bolts holding the pump to the chassis. 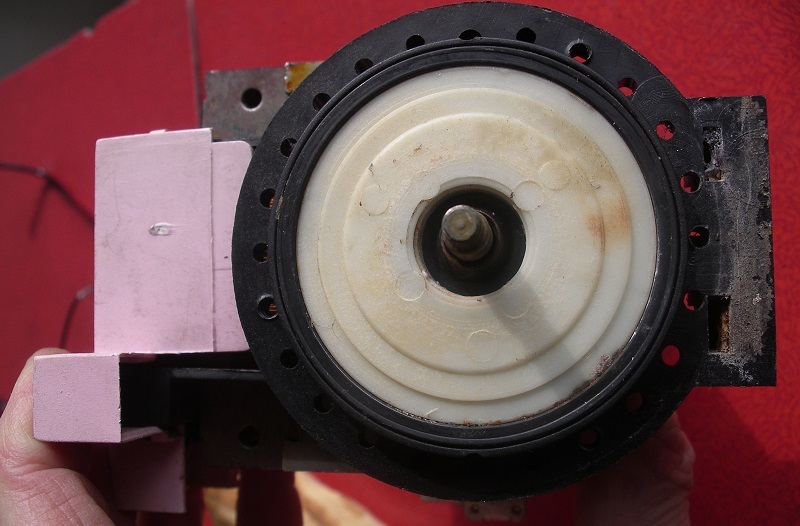 The white plastic pump chamber screws came out easily so I could see the spindle that spins when the pump is running. To me it looked like water might be going down between the spindle and the shaft. Some sort of rubber washer might have been there before. My improvised fix was to put some grease down the shaft as much as possible and then mould some sugru into that area as best as possible close to the spindle. In the first run after the repair, it's still leaking a little bit, but not too bad. I might work out a better solution for next time. If you'd like to have something repaired – or help others repair things, there are two repair cafes in Eden soon: on 22nd April and 3rd May 2017. Slightly further afield, manufacturer Patagonia is running repair sessions for all brands of garments in May at the University of Cumbria, Ambleside and at George Fisher and Needlesports in Keswick. It's great that they are aiming to make their clothing last for years and be repairable.